Today's post is short and sweet from me. 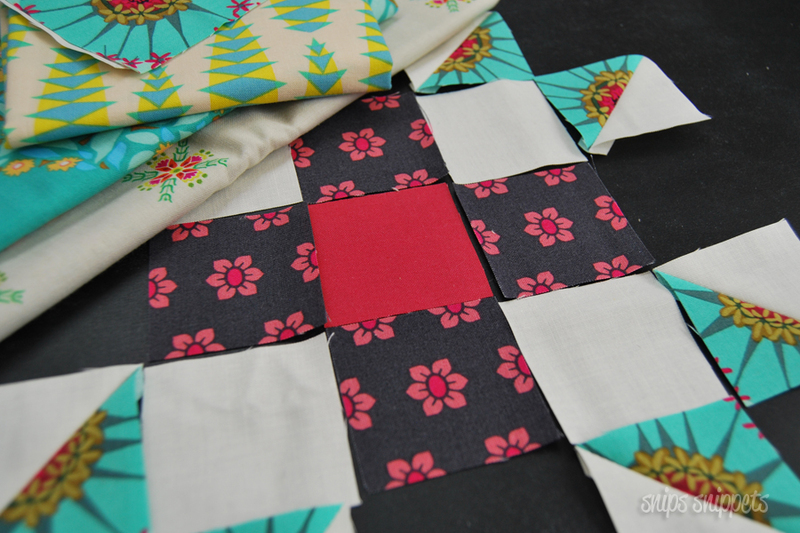 My best tip for this block is to alternate your seams when you press them. What I mean by this is when you press your top row press all the seams in one direction, then the next row press them all in the opposite direction of the row above. 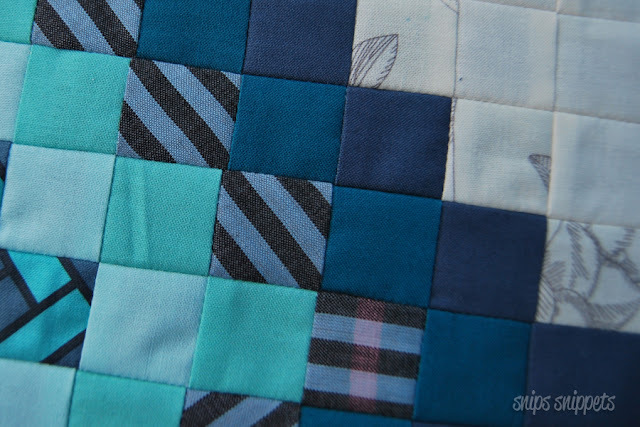 Continue alternating for every row and when you go to sew your rows together the seams kind of click into place. It's called nesting and it is fantastic! 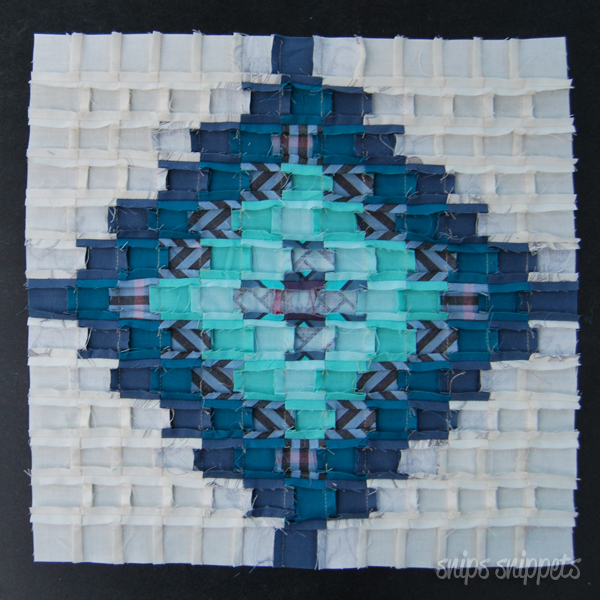 I made this entire block with no pins! Here's the back of my block so you can get a better idea of what it looks like. So many seams!!! But you can see how they alternate directions. 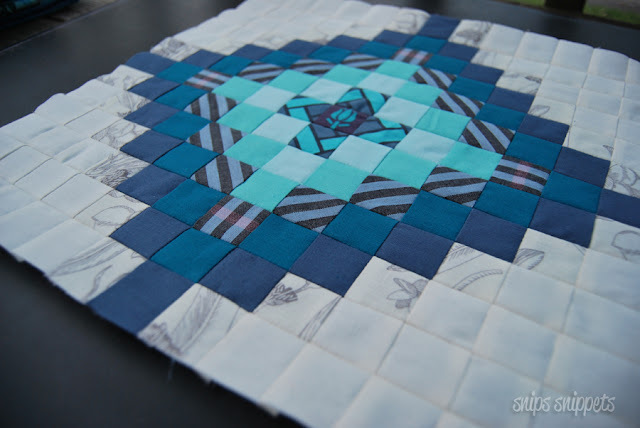 I pressed my seams open after sewing together the rows and I find that it helps keep the block laying flatter. Now, you all know by now that I seriously dislike pinning, so I've decided to be okay with some of my points not being perfect. And this is something that you need to figure out. Are you okay with points not always lining up? Or does everything have to be spot on? You can see where some of my points don't quite meet up, but really, when it's all quilted up are you actually going to notice the points that are a little bit off? I'm firmly in the camp of life's too short to be worried about a few missed points! I'll be completely honest here friends, I struggled with this one a lot. 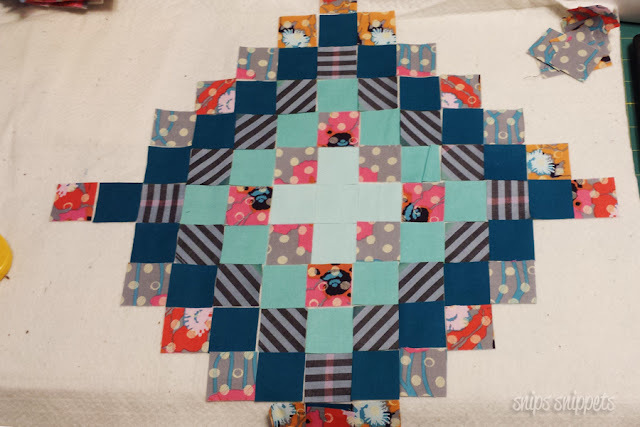 Not in the assembly of the block, but with the fabric choices and placement. 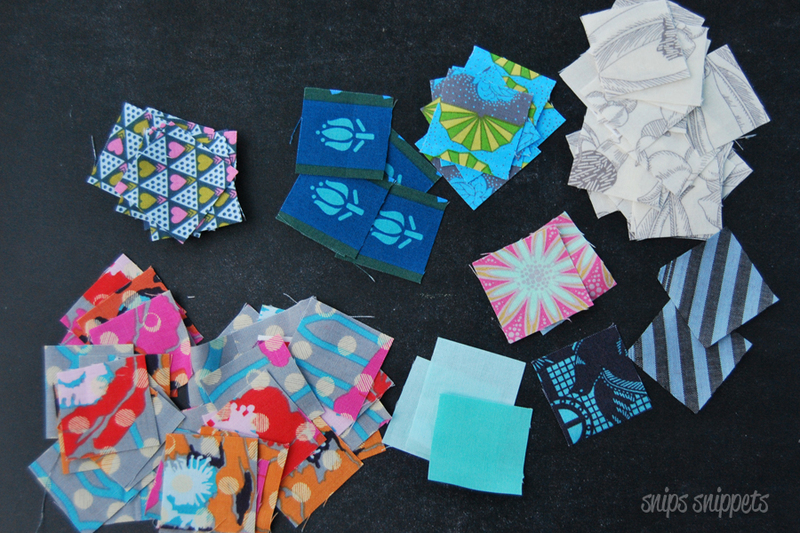 There may need to be an AMH postage stamp quilt happening in my future with all the fabrics I cut and didn't end up using! And sometimes you just need to be able to lay everything out to see what it may look like! I tried a few times to add in more colour but the block just wanted to be blue, so blue it is! I'm in love with the stripes in this one and will definitely need to add in more stripes into later blocks! Okay, so again Angie is the girl with the master plan this week so pop on over for the full tutorial by clicking here! Post a photo of this weeks block to your Instagram account between 12:01am April 12th and 11:59pm April 18th 2017 in your timezone. High fives for the crazy awesome Jacobs Ladder blocks you all made last week! So amazing!